There is a strong focus on academic achievement at The Clere. 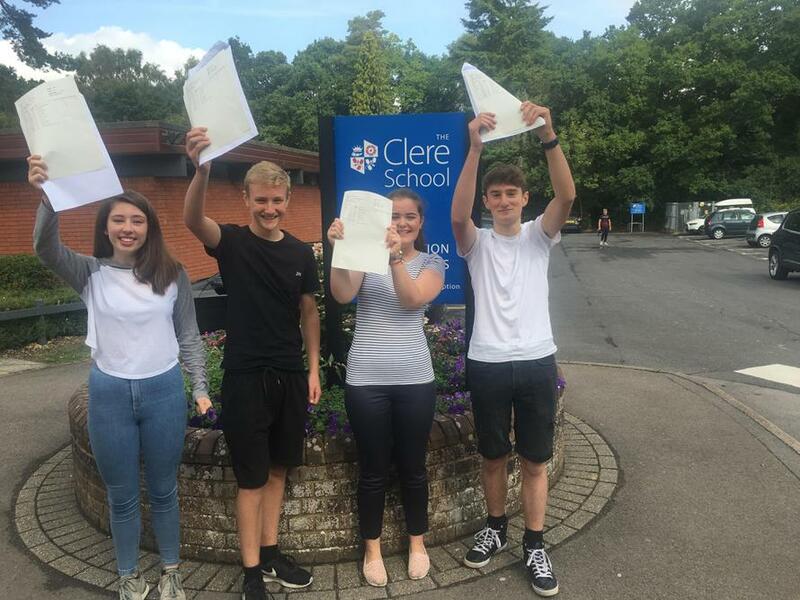 The Clere School is celebrating a fantastic set of GCSE results this year demonstrating consistency, high achievement and high expectations. 80% of pupils achieved at least a grade 4 in mathematics and 73% at least a grade 4 in English. The combined figure is 71% and represents a significant improvement on last year’s results. Grade 5 in both subjects has also risen to 60% in English and 66% in maths. In addition, the number of combined grade 5s or higher has jumped substantially to 55%, up from 40% last year. The percentage of students achieving the top grade (9) in English, maths and other subjects is to be congratulated and further demonstrates the school’s commitment to excellent attainment and results. This is particularly pleasing given the new examinations courses being taken by this year’s pupils. With close links to local Sixth Form Colleges and Universities pupils are encouraged continually to raise their aspirations and reach forward towards the future, beyond the world of school.